High End Stereo Speakers - Best EVER Loudspeakers! If you want the ultimate reproduction of a concert, there's no getting away from the fact that you need larger loudspeakers. Quite simply, a larger loudspeaker can move a greater volume of air than a smaller one. So you have to go up the quality ladder, too! 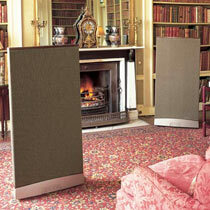 More powerful high end stereo speakers usually have higher quality components as well as just being bigger. A speaker twice the size can cost 3 to 4 times as much. But the improvements in listening pleasure are considerable!! Warning! Check your bank account! These monsters vary in price by quite a wide margin, so deciding on your budget is the first step. Klipschorn (or "Klipsch Horn"). About $6000. This speaker design principle has been around for a long time, but Paul Klipsch seemed to make it work better than anyone else. These are big speakers, but are designed to go right back into the corner of the room. 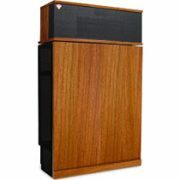 Paul Klipsch said "the further apart, the better, but you also need a central speaker running in mono." Correctly set up, you get a sound stage that accurately positions each instrument of an orchestra. These babies can go really loud, and have bass performance on the Richter scale. If you love Richard Wagner, these will make you think you're in Bayreuth! The Quad ESL989 are classical electrostatic speakers, at $8000 a pair, and built on 50 years of experience designing and building electrostatic loudspeakers. People often say that electrostatic speakers are best suited to classical music, and on first listen, two things will hit you between the ears. These speakers have inner detail like nothing you have ever heard! The speaker also reproduces depth and spatial locations you can almost reach out and touch. BUT, like all electrostatic speakers, where you put them in the room affects the overall balance and smoothness of their bass. The '989s have a gorgeously, sumptuously smooth and open high end without a trace of hardness. 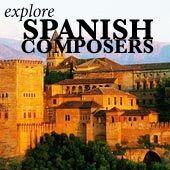 Great for most classical music! 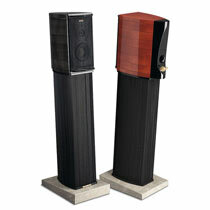 Sonus Faber Guarneri Memento, at $15,000. These are normal passive loudspeakers, from a small Italian company. They need some powerful amplification and a fair amount of room around them, but reward you with accuracy and precision. They are relatively compact, have a smaller footprint than any of the speakers above, and look quite stunning. So, if you have limited space but still want fantastic sound and great looks without tripping over imposing pieces of electronics, check out the Sonus Faber Memento! 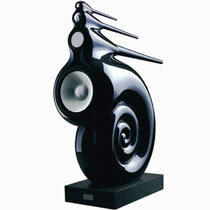 These look like no other high end stereo speakers - something out of "20,000 Leagues Under the Sea" (hence the name!). You need eight single-channel amplifiers to power the Nautilus speakers. Four drivers = four amplifiers for each speaker. At $60,000, they are among the top speakers on the planet. A few may cost more but hardly any sound better. They need a fair amount of drive, hence the eight monoblock amplifiers, but the sound is stupendous. Steinway-Lyngdorf. At an eye-watering $150,000 - that's right, one hundred and fifty Big Ones. A cardiac arrest for your credit card. 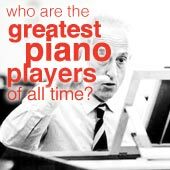 Steinway is a world-renowned piano manufacturer who teamed up with Danish company Lyngdorf. 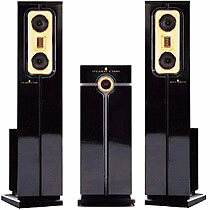 Together they created loudspeakers that, unsurprisingly, reproduce classical music with supreme transparency and detail. 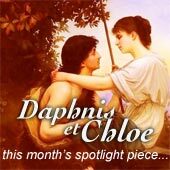 For more great speakers, have a look at the electrostatic speakers page.